We manufacture all kinds of casing centralizers, hinged bow type spring centralizers, rigid centralizers, composite centralizers, positive centralizers, one piece casing centralizer. Our bow spring casing centralizer have very good mechanical properties. 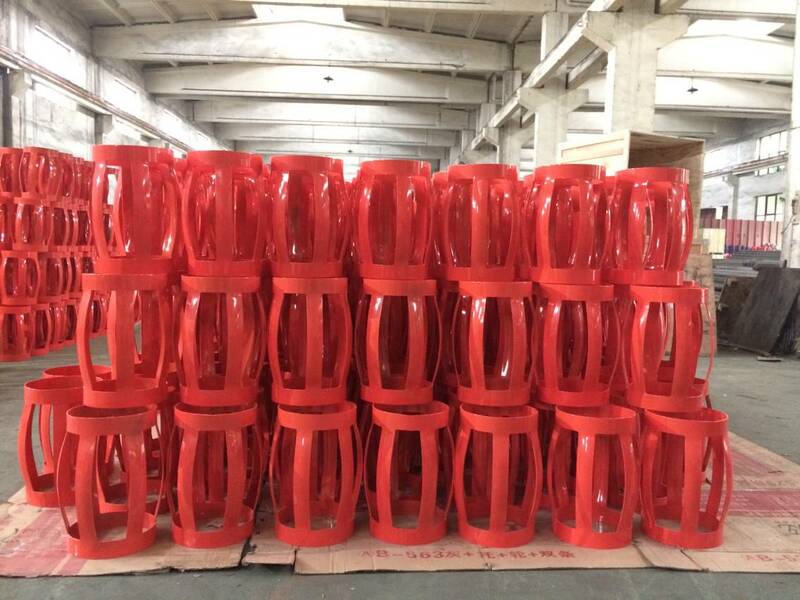 The restoring force of our one piece casing centralizer is 2.5 times of API 10D standard, the running force is also very low and can be zero. Our casing centralizer dimension is strictly made according to API standard and customer’s requirements. We have many years experience of manufacturing casing centralizers, and our casing centralizers can fit very well on the casing and have good performance. Our casing centralizers can fit vertical well , horizontal well and deviated well. We also manufacture cementing plugs ,float collar and shoe, cementing head, stage collar, sucker rod pump, pumping unit etc. Our casing centralizers are exported to North America, Russia, Middle east , South East Asia, etc.